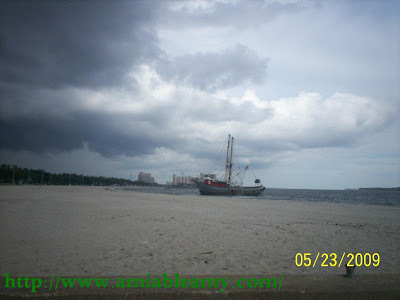 Few months ago, I posted this lone shrimp boat docked on the shoreline of the Gulf. It was reported that the ship was abandoned by the owner few years ago. It was just left there and considered as eye-sore by the locals. The local government do not have the power to take if off the area. For so many years, they are trying to locate the owner but no avail. They even asked the help of media to publish and reached out the address of the owner. Legal papers finally arrived with or without the consent of the owner. 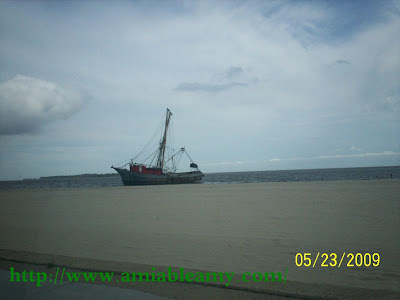 It was finally moved out and this beautiful long shoreline of Biloxi, Mississippi finally had a deep breathe. naku kung dito yan sa Pinas matagal na yang wala...ninakaw na.lol! musta ka na amy?sensya na ngayon lang ulit me nadalaw dito.